From Kaunakakai Town, take Kamehameha V Hwy east for 26 miles. The road will wind and bend over many miles and will narrow to single lane in many areas. Please take your time and enjoy the journey. At the end of the road, you will find Halawa Valley. The drive from Kaunakakai will take approximately one hour. Halawa Park will be on your right side just before you reach the beach. 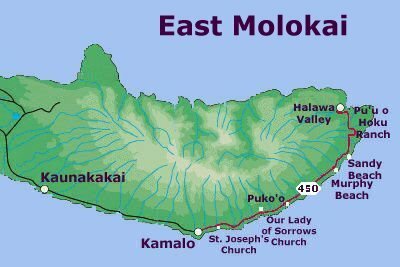 Your guide will meet you at Halawa Park Pavilion at 9:00am.